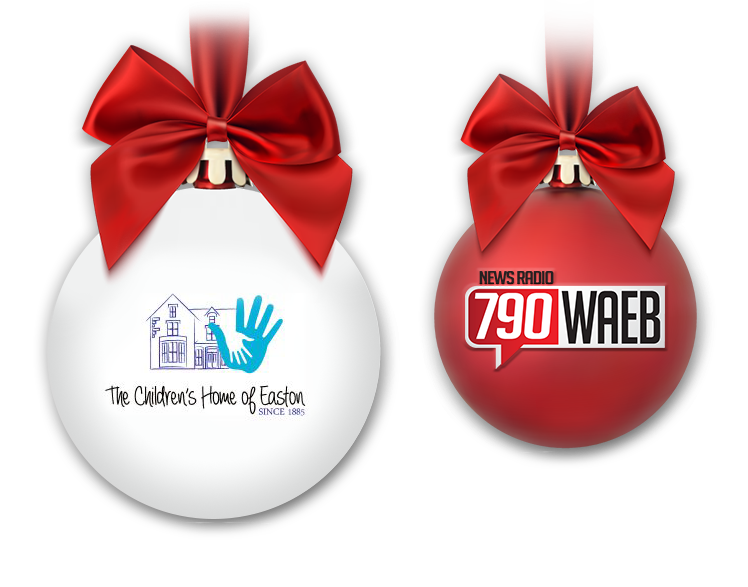 The Annual NewsRadio 790 WAEB Christmas Present Drive for the Children’s Home of Easton has begun! Check out the Wish List Below and Select a Gift for the Child of your Choice. Please call the Children’s Home of Easton Donation Line at 610-841-4999 to let us know that you will be purchasing a gift for that child so we can mark it off our list. If you call during Gunther’s show (Weekday Mornings 5:00am-10:00am) you will be able to participate in challenge hours where your donation dollars can be doubled! Special thanks to: American Fence and Flag & As You Wish Engraving, Ironton Telephone Company, Gunther Racing and PenTeleData! Key: Green means gifts have not been bought yet. Red means the gift has been bought. Please drop-off gifts at the WAEB Studios (1541 Alta Dr. 4th Floor, Whitehall, PA 18052); WAEB Office hours are Monday through Friday, 8am-5pm. The Radio Station is NOT open on the weekends. Office closes at 1pm on Weds. Nov. 21st 2018 and is closed on both THANKSGIVING DAY (Nov. 22nd) and BLACK FRIDAY (Nov. 23rd) – Please do not leave gifts at the front door when the office is closed. Please drop off ALL GIFTS by Weds. Dec. 12th at 5pm; After 5pm on Dec. 12th – any remaining gifts should be dropped off at the Children’s Home of Easton (2000 South 25th Street, Easton, PA 18042). We will be having the Children’s Christmas Party on Saturday, December 15th from 12pm-1pm at the Children’s Home of Easton (inside the Gymnasium). This party is open to the public and all are invited to join in on the Christmas Fun! Light refreshments will be provided by American Fence and Flag / As You Wish Engraving! If you have any additional questions, please call 610-258-2831 ext. 110 or visit 790WAEB.com keyword: Gunther! Nike arm sleeve White Levi’s slim fit jeans 30x32 Sixeve hard case SamSung Galaxy J7 gold phone case Pokemon Elite trainer box Tommy Hilfiger men’s 2 pc. American traveler gift set cologne Robe – size med. Portable crib bedding set for boy Infantino balls, blocks and buddies Infantino go gaga spiral, squeeze roll and rattle set Small infant fleece booties and 3-6 mo. Footie pj’s Boy’s activity mat Winter fleece one-piece – 3-6 mo. Nike Elite men’s basketball shorts – size medium Beats by Dr. Dre White earbud headphones Ethika underwear – The Passion, The Staple – Medium Tesla men’s thermal wintergear compression baselayer – black – M Schylling 14.5″ multicolor chalkboard lamp white/green liquid & chalkboard painted base Ethika underwear The Berner cookies hurrican-staple – Med. Pack Ralph Lauren black t-shirts – Med Thrasher t-shirt – Med. Thrasher Sweatshirt – Med. Apple Headphones H & M Biker Jeans Black – 34x32 Tommy Hilifiger t-shirt – Med. Nike Benassi slides Red – size 9 Adidas tights – Med. Nike crop top – Med Sterling silver name plate necklace Adidas tape tee – Pink – Med. Victoria Secret everyday lounge classic pant – med.